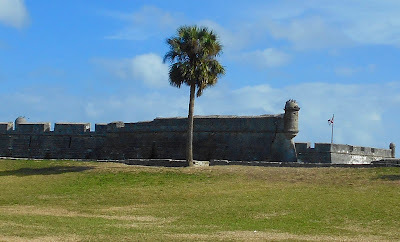 Founded by the Spanish is 1565 the oldest building in Saint Augustine is the Castillo de San Marcos. 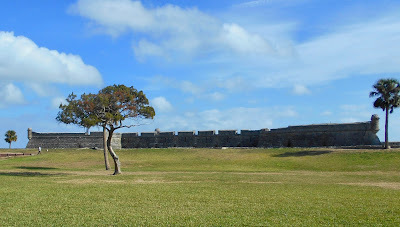 It was built in 1672. 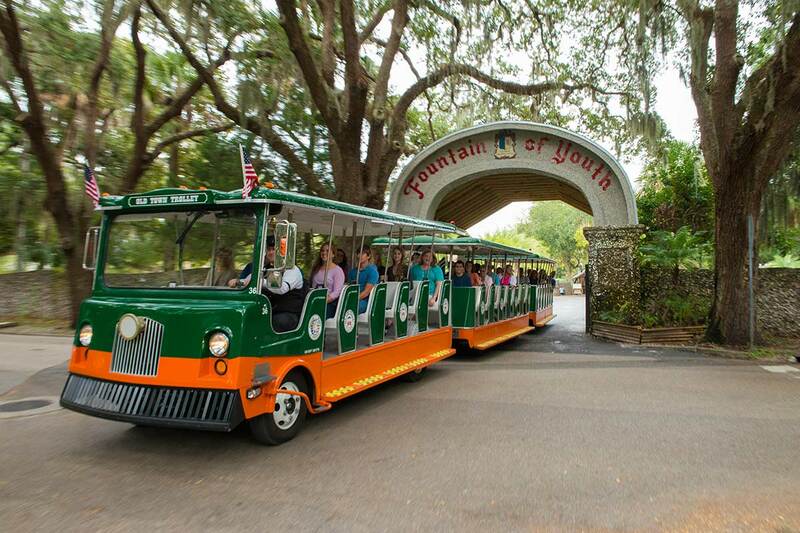 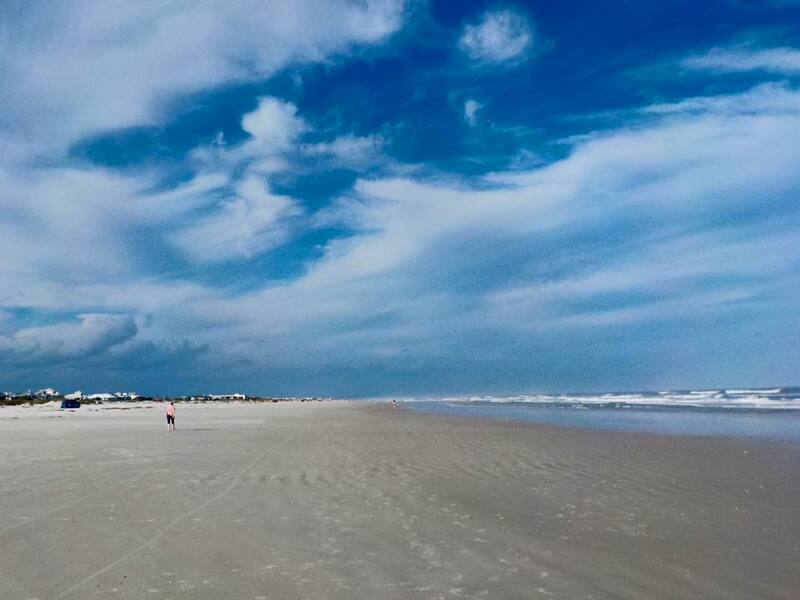 Having visited Saint Augustine about eight years ago, we decided a hop on, hop off tour would be the best way to reacquaint ourselves with this city of 12,000 residents. 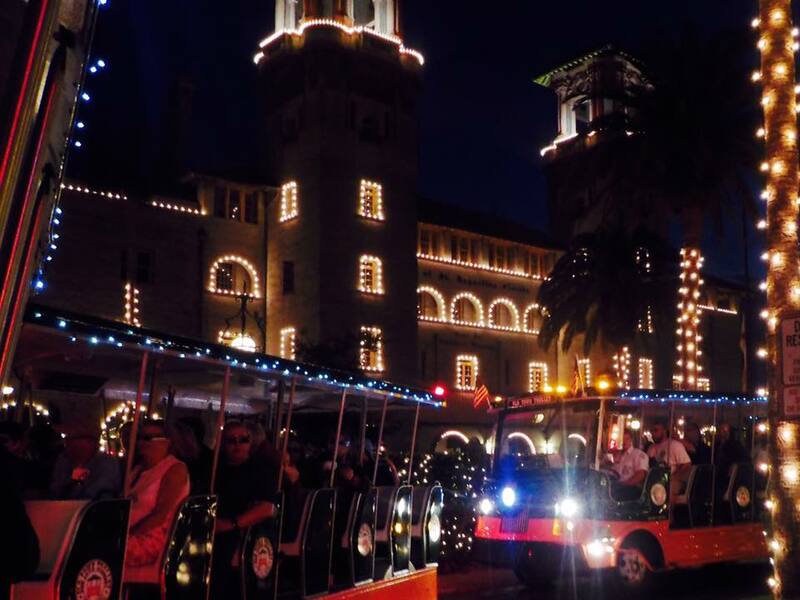 We had two options and chose the Old Town Trolley Tours because of its partnership with Historic Tours of America. We found the historic aspect of the tour, however, on the light side and the main focus seemed to be tips on where to shop or grab a meal. 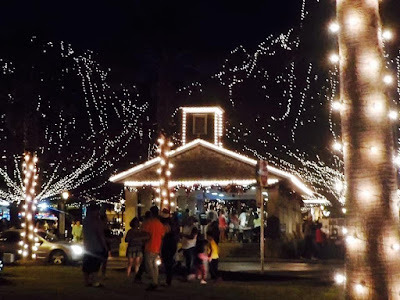 Still, it was worthwhile as our tickets were valid for three consecutive days. 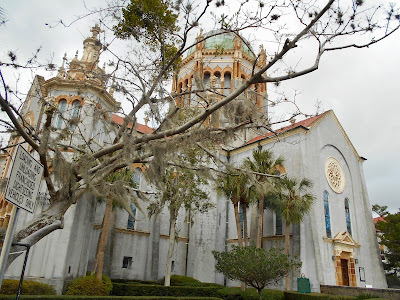 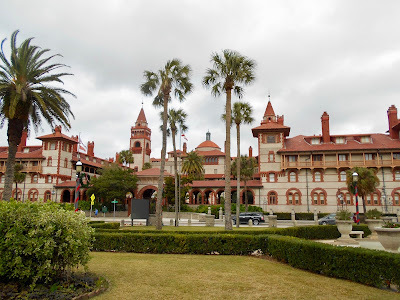 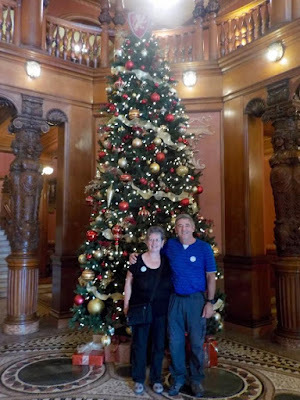 In the late 19th century Henry Flagler, co-founder of Standard Oil envisioned Saint Augustine as the American equivalent of the French Riviera and in 1885 built the ornate Ponce de Leon Hotel. 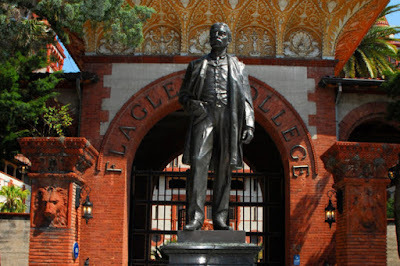 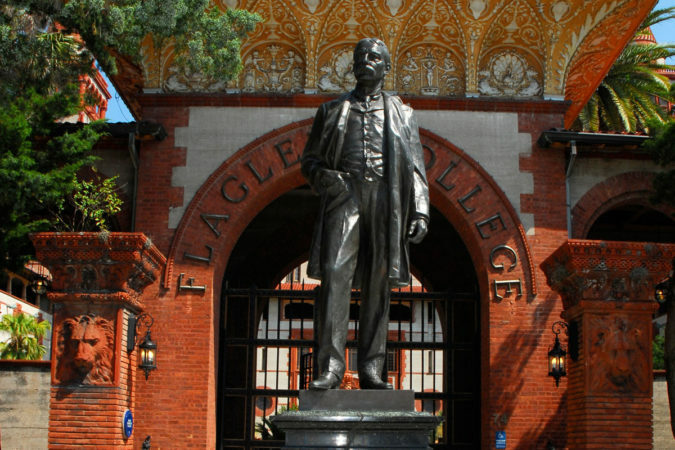 His statue stands outside the front gate and the hotel has been transformed into Flager College. 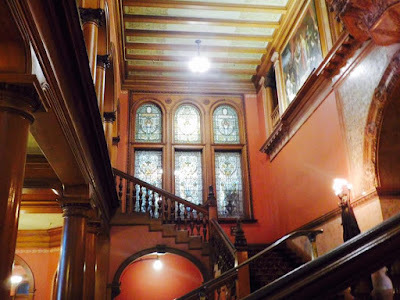 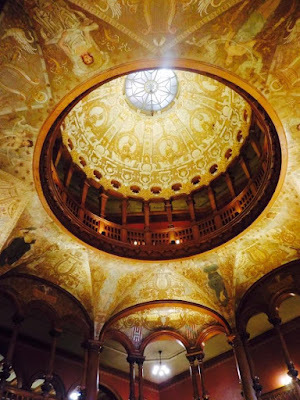 Flagler spared no expense and hired Louis Tiffany to design its interior spaces. 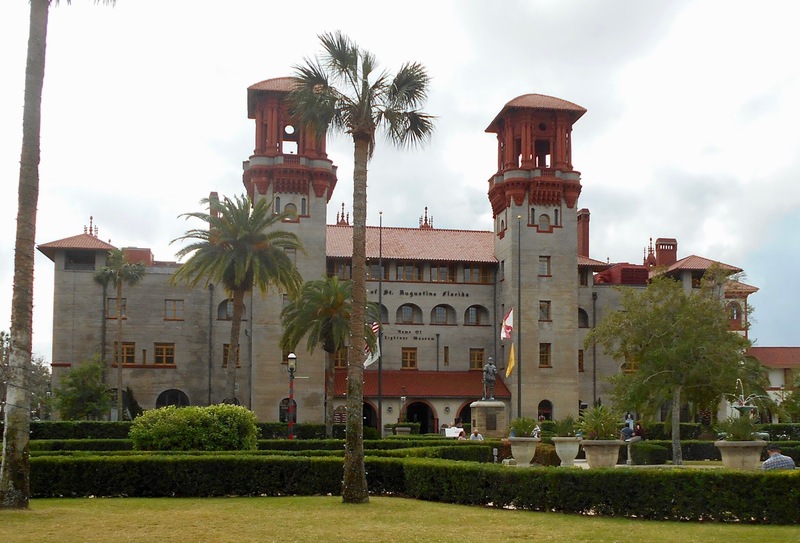 Directly across the street is the Lightner Museum that also began as a former hotel built by Henry Flagler. In 1889 Flagler also built the Memorial Presbyterian Church. Flagler, his first wife, only daughter and granddaughter are buried here. 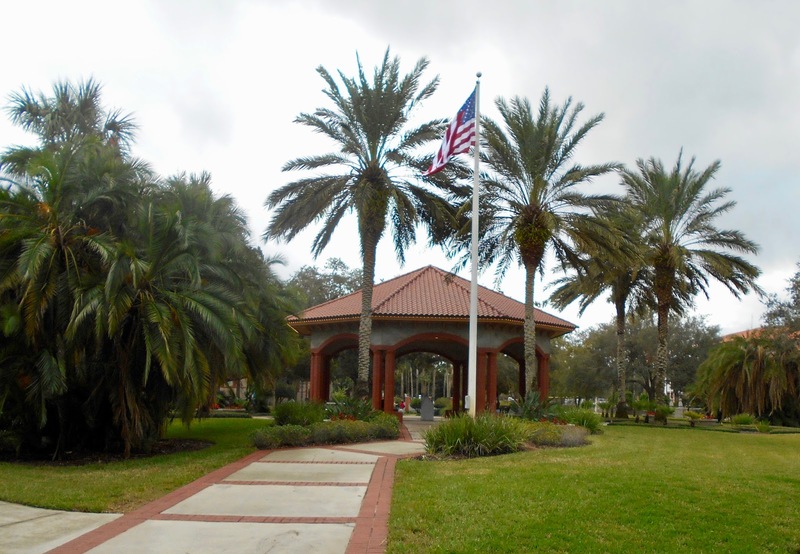 Other than the fort very little remains of the Spanish settlement, but the historic downtown section does boast a traditional Spanish style plaza. Surrounding the Plaza de la Constitucion are shops and restaurants. 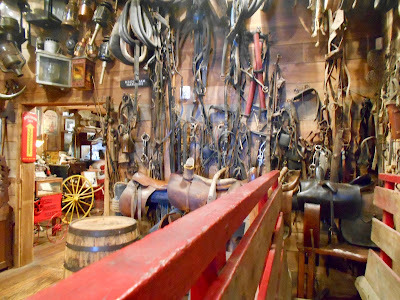 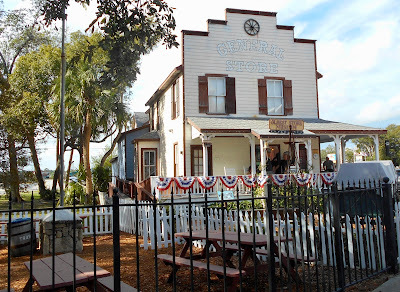 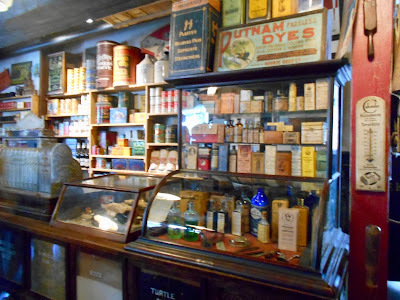 Tours of two museums were included in the price of the trolley ride and we took a look inside the Oldest Store Museum. A storekeeper explained the benefits of owning the latest and greatest products (of the late 19th and early 20th century) and after giving us his spiel would ask who would like to purchase the item. 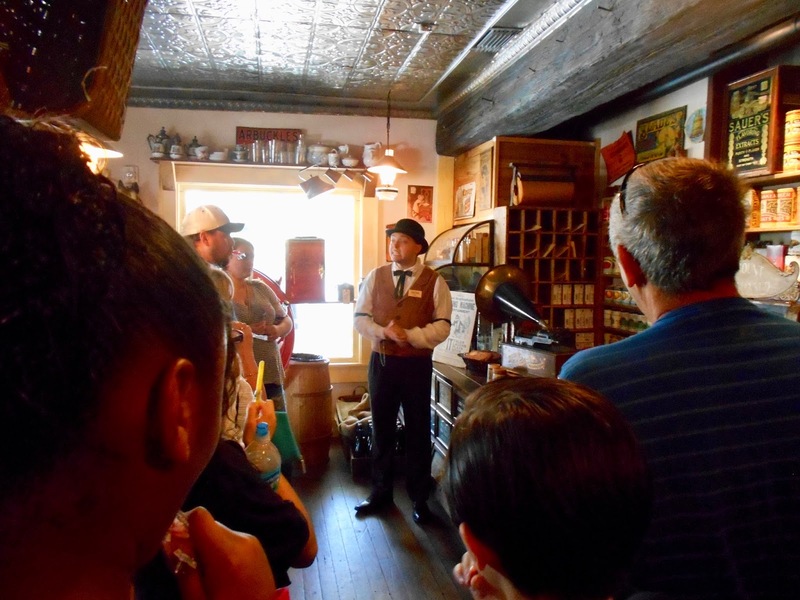 Quite a few people signed up for everything from an ice cream maker to a corn husker to a washing machine. 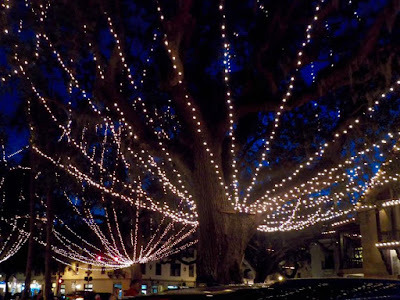 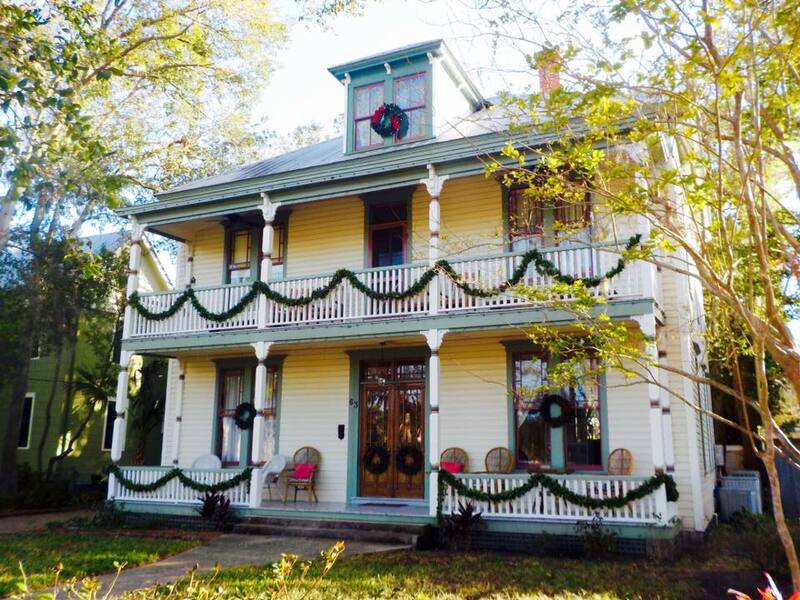 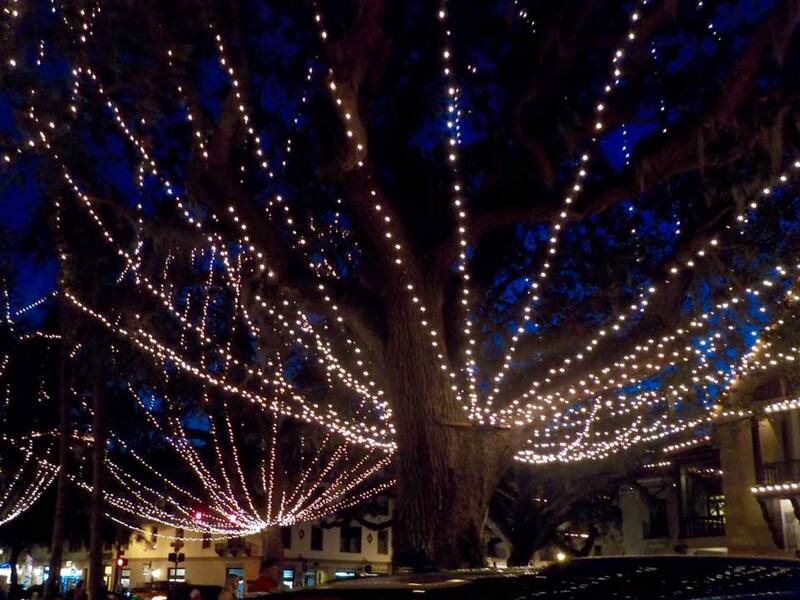 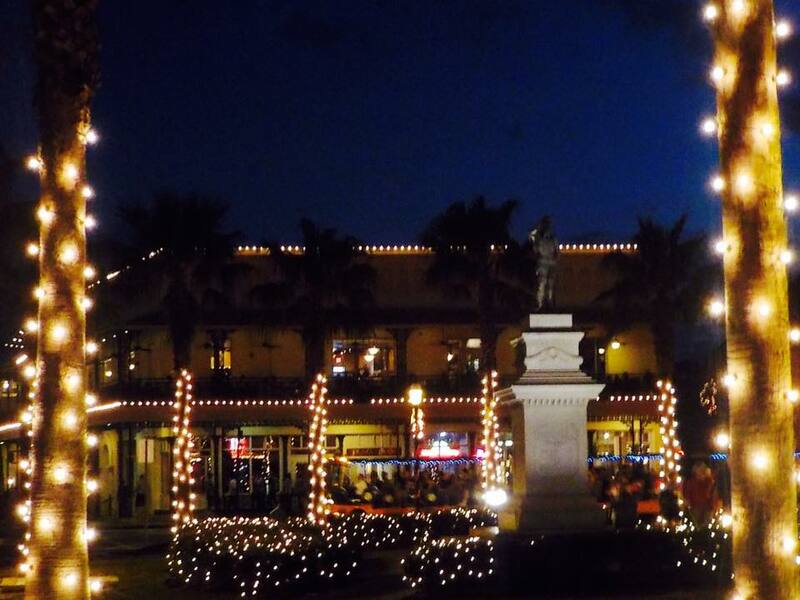 On the final night of our stay in Saint Augustine we took another trolley ride that showcases the Christmas lights. 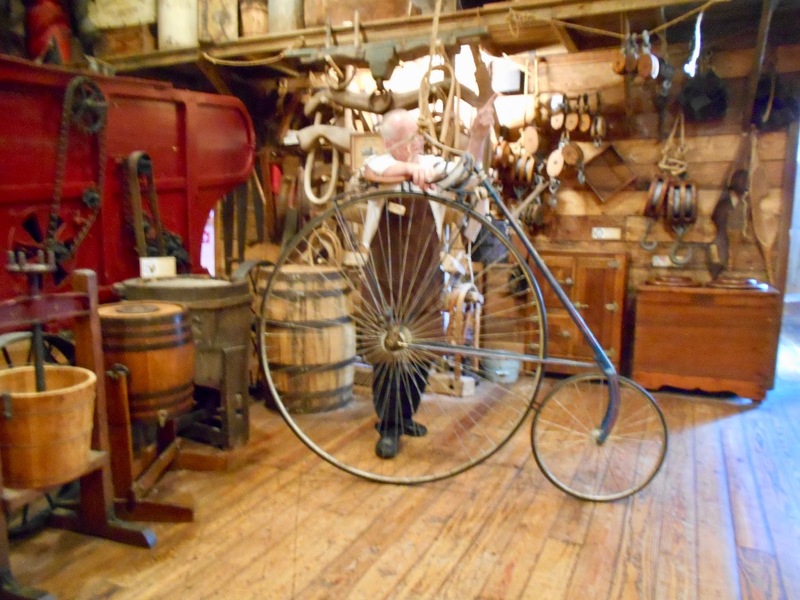 John took a number of photos and as you can see it was a busy, busy place. The majority of our time on board the trolley was spent in gridlock! We'd have been better to walk. 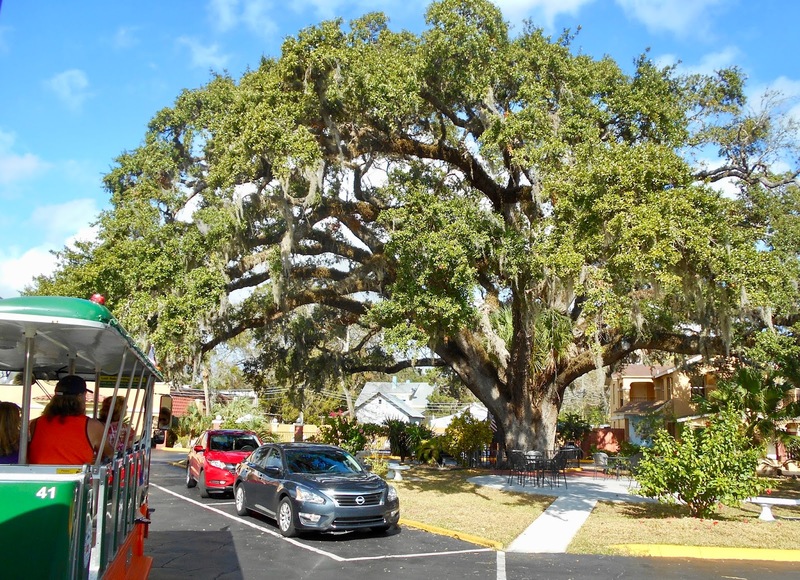 Of all the things we saw in Saint Augustine the oldest by far is an oak tree affectionally nicknamed The Old Senator. Estimated to be well over 600 years old the Old Senator would have been well established by the time Ponce de Leon arrived in 1513.